(the MLI) aimed at amending its effective Double Taxation Treaties (the DTT) in response to the OECD/G20 BEPS Project. 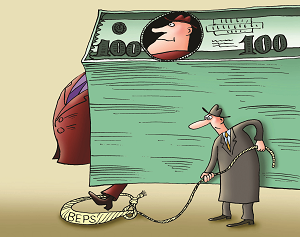 The BEPS Project is a 15-point Action Plan that fights against tax planning strategies that exploit gaps and mismatches in tax rules to artificially shift profits to low or no-tax locations where there is little or no economic activity. The MLI enables jurisdictions to swiftly implement BEPS measures in the effective DDTs in a synchronized way without the need to individually negotiate the amendments to each DDT. — 24 jurisdictions that signed the MLI and included Ukraine in their MLI Positions, e.g. Bulgaria, Canada, Cyprus, Czech Republic, Denmark, Finland, Hungary, Iceland, Malta, Armenia, Belgium, Croatia, Egypt, Estonia, France, Greece, India, Ireland, Israel, Italy, Japan, Luxembourg, Portugal, Spain. Ukraine has not ratified the MLI yet. However, it is important for Ukrainian business at this stage to consider the impact of the MLI on their international tax structures, that include jurisdictions covered by the MLI. Below we summarize the minimum standard and optional provisions of the MLI chosen by Ukraine, as well as their potential impact on international tax structures used by Ukrainian business. ii. making dispute resolution mechanisms more effective, i.e. the Mutual Agreement Procedure — an instrument through which competent authorities consult to resolve disputes regarding the application of the DTTs (“MAP”). Ukraine opted to introduce in its DDTs the PPT, which could have a significant impact on certain IP/Holding/Financial structures that are used by Ukrainian business. Pursuant to the PPT, a benefit under the DDT shall not be granted in respect of an item of income or capital if it is reasonable to conclude, having regard to all relevant facts and circumstances, that obtaining that benefit was one of the principal purposes of any arrangement or transaction that resulted directly or indirectly in that benefit, unless it is established that granting that benefit in these circumstances would be in accordance with the object and purpose of the relevant provisions of the DTT. The PPT does not include a list of requirements that should be met in order for an international tax structure to pass the PPT. In practice, one of the purposes of an international arrangement or transaction could always be obtaining benefits under the relevant DDT, but the question is when such purpose is regarded as “one of the principal” that leads to denying of treaty benefits under the DTT to a taxpayer. Under the OECD Commentary, a purpose will not be “one of the principal” when it is reasonable to conclude, having regard to all the relevant facts and circumstances, that obtaining benefit was not a principal consideration and would not have justified entering into any arrangement or transaction that has, alone or together with other transactions, resulted in a benefit. In particular, where an arrangement or transaction reflects a genuine economic activity, it is inextricably linked to a core commercial activity, and its form has not been driven by considerations of obtaining a benefit, it is unlikely that its principal purpose will be considered to obtain a benefit under the DDT. Therefore, the principal purpose of each arrangement or transaction should be analyzed on a case-by-case basis with due regard to the relevant facts and circumstances. Under OECD Commentary, the following example of a tax structure could successfully pass the PPT. RCO, a publicly-traded company resident of State R, is the holding company for a manufacturing group in a highly-competitive technological field. TCO is a publicly-traded company resident of State T, which does not have a tax treaty with State S. TCO is the parent of a worldwide group of companies, including RCO, a company resident of State R, and SCO, a company resident of State S.
SCO is engaged in the active conduct of a trade or business in State S.
RCO is responsible for coordinating the financing of all of the subsidiaries of TCO. RCO maintains a centralized cash management accounting system for TCO and its subsidiaries in which it records all inter-company payables and receivables. RCO is responsible for disbursing or receiving any cash payments required by transactions between its affiliates and unrelated parties. RCO enters into interest rate and foreign exchange contracts as necessary to manage the risks arising from mismatches in incoming and outgoing cash flows. The activities of RCO are intended (and can reasonably be expected) to reduce transaction costs and overhead and other fixed costs. RCO has 50 employees, including clerical and other back office personnel, located in State R; this number of employees reflects the size of the business activities of RCO. TCO lends to RCO 15 million in currency A (worth 10 million in currency B) in exchange for a 10-year note that pays 5% interest annually. On the same day, RCO lends 10 million in currency B to SCO in exchange for a 10-year note that pays 5% interest annually. RCO does not enter into a long-term hedging transaction with respect to these financing transactions, but manages the interest rate and currency risk arising from the transactions on a daily, weekly or quarterly basis by entering into forward currency contracts. In this example, RCO appears to be carrying on a real business performing substantive economic functions, using real assets and assuming real risks; it is also performing significant activities with respect to the transactions with TCO and SCO, which appear to be typical of RCO’s normal treasury business. RCO also appears to be bearing the interest rate and currency risk. Based on these facts, and in the absence of other facts that would indicate that one of the principal purposes for these loans was the avoidance of withholding tax in State S, the loan from TCO to RCO and the loan from RCO to SCO do not constitute a conduit arrangement. Given the above, the “back-to-back” structures with the use of foreign intermediary companies (IP, holding and/or financing companies) that have no, or limited, economic substance in their country of residence, and one of the principal purpose of their establishment is applying the reduced or nil WHT under the DDTs, will not pass the PPT. In fact, Ukrainian taxpayers that pay passive income to their IP/holding/financial companies will need to pass the PPT along with the “beneficial owner” test, which in practice could be difficult or even impossible. iii. the DDTs, which do not contain the respective provision, will be amended accordingly: the competent authorities of Contracting Jurisdictions may consult together for the elimination of double taxation in cases not provided for in the DTTs (e.g., the DTTs signed between Ukraine and Cyprus, Denmark, Estonia, Georgia, Ireland, Luxembourg, Malta, Switzerland, United Kingdom, etc.). The above-mentioned amendments shall ensure certainty and predictability of application of the DTTs for the business. However, in order for a taxpayer to apply the MAP, Ukrainian law should provide for a respective procedure. Therefore, the business would be able to benefit from such procedures only upon amendment of national legislation. The jurisdictions that signed the MLI are entitled to reserve the right for the entirety of the optional provisions not to apply to the DTT included in its MLI Position. For DTT purposes, gains derived by a resident of a Contracting Jurisdiction from the alienation of shares (or comparable interests, such as interests in a partnership or trust) may be taxed in the other Contracting Jurisdiction, if at any time during the 365 days preceding the alienation, these shares (or comparable interests) derived more than 50% of their value directly or indirectly from immovable property (real property) situated in that other Contracting Jurisdiction. The above property rich test is stricter compared to the current edition of the DTTs, and should be considered by the multinationals selling their Ukrainian business directly or indirectly. However, it is not clear at present how the tax will be collected by the Ukrainian tax authorities if the payments for the corporate rights/ shares are settled outside of Ukraine. The treaty benefits will not be granted to a taxpayer if the income is allocated to a low taxed passive PE. This rule shall not apply if the PE is taxed at 60% of ‘hypothetical tax’ on an income item in the head office of the State; PE carries on an active trade or business; the Contracting State of source concludes that it is nonetheless justified in a particular case to apply an exemption or reduced rate. An enterprise shall be deemed to have a PE if a person acts on behalf of an enterprise and in doing so habitually concludes contracts or habitually plays the principal role leading to the conclusion of contracts that are routinely concluded without material modification by the enterprise, and these contracts are: a) in the name of the enterprise; or b) for the transfer of the ownership of, or for the granting of the right to use, property owned by that enterprise or that the enterprise has the right to use; or c) for the provision of services by that enterprise. The status of “independent agent” will be no longer available if the agent “acts exclusively or almost exclusively on behalf of one or more enterprises to which it is closely related” (the agent and his principals are linked by more than 50%, directly or through a common beneficiary). All specific exemptions (having an office only for the purposes of purchasing or collecting information, having a warehouse for storing goods, etc.) will be applied only if the respective activity is of a preparatory or auxiliary nature. Rules that will not allow a taxpayer to avoid a PE status by splitting the contracts. — Splitting-up of Contracts — 5 jurisdictions (Armenia, Egypt, India, Ireland, Israel). i. Upon the MLI coming into force many structures that are used to repatriate income from Ukraine would be at risk if there is no or limited substance at the level of IP/ Holding/ Financing companies receiving such income. ii. Ukrainian taxpayers paying passive income to their IP/Holding/Financing companies will need to pass the PPT along with “beneficial owner” test, which could be difficult or even impossible in practice. iii. Certain international sales and purchase structures would be exposed by PE risks. iii. to develop internal documents confirming the intentions of management when creating/changing the international structure of a group of companies (decisions approved by Board, Shareholders, internal documents regarding business model, etc.) in order to determine the main purposes of the structure and pass the PPT. iv. to change the commissionaire sales/purchase structures to distribution ones. v. to consider the new property rich test in case of sales of a business directly or indirectly.